The Product by Category allows displaying your store’s products by their categories. If your site has a few main categories for your products and you would like to display rows of all the products by their categories, you’ll find this very easy to do with this widget! Title: Here you should place the title for the widget which will be shown above the list of products. Category: In this area you’ll find a list of all the products’ categories, mark those that you would like to display their products on the page. 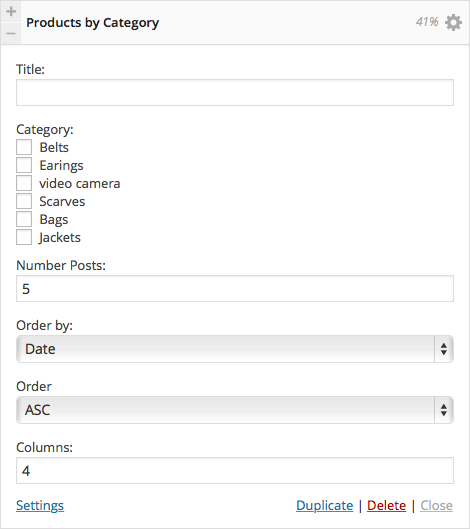 Number Posts: Set the number of posts that will be displayed in the widget.